Benefits that have asset restrictions include Supplemental Security Income (SSI), Medicaid, and subsidized housing. Unfortunately, if the individual has more than the maximum amount, his or her benefits will be interrupted. If you want to leave money upon your death or a gift during your lifetime to someone with a physical or mental disability, or a person who is chronically ill, you must know your legal rights and plan carefully. How have I been able to protect my clients? By helping them set up a Special Needs Trust as part of their estate plan. 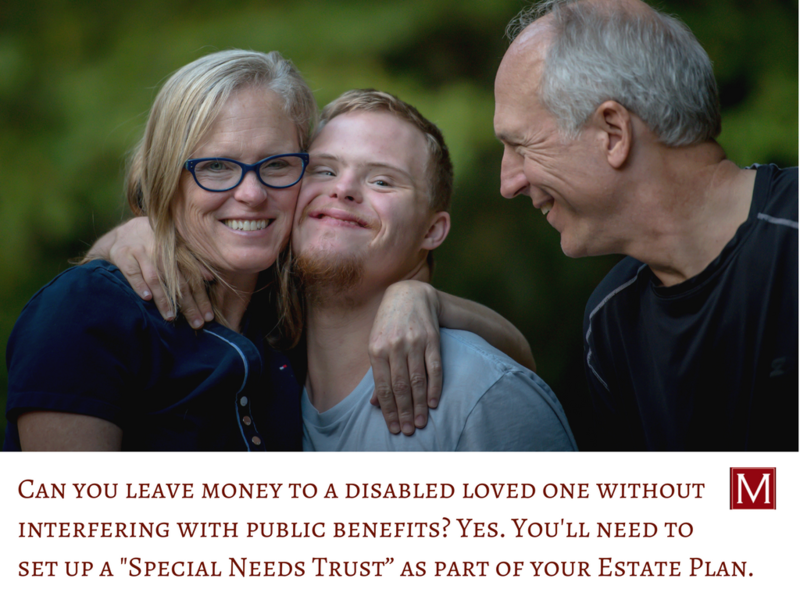 You can leave money to your loved one without interfering with the public benefits by setting up a Special Needs Trust (also referred to as a Supplemental Needs Trust). This type of trust enables a person with a disability or chronic illness to have an unlimited amount of assets held for his or her benefit. That being said, instead of leaving property directly to your loved one, you leave it to this trust. The assets held in the trust as not considered “countable” assets in determining whether the individual qualifies for the benefits because the individual does not own them, rather the trust does. The trust, in turn, provides for extra items or care over and above what the government provides. The Special Needs Trust can pay for many of the items or services your loved one may want or need in the future. For example, Medicaid won’t pay for certain a medical treatment, the trust can step in and pay for it. If Medicaid will only pay for a basic piece of medical equipment, the trust can provide whatever additional funds are necessary to pay for a nicer model. The trust can pay for alternative treatments, vitamins and supplements, massages and even grooming supplies. The Trust can also pay for those extras that may not be medically necessary, but which would definitely increase the disabled person’s quality of life, such as summer camp, airline tickets for travel (including a companion, if necessary), electronic games, computer equipment, nicer furniture or even a larger television. While it may seem like a good idea simply to leave a set amount of money to a sibling or other close relative, with the understanding that the money will be spent on the disabled person, this strategy often backfires. Once the “holder” receives the money, it legally belongs to him, and he cannot be forced to use it for the disabled person. Even when all the parties have the best of intentions, things can still go wrong. If the “holder” of the money passes away, those funds will be distributed to his or her beneficiaries, who may not want to use it for the disabled person. The “holder” may at some later point in time be involved in litigation, bankruptcy or a divorce. None of those legal proceedings would differentiate between the money he is “holding” for the benefit of the disabled person and his own assets. The use of a Special Needs Trust would solve these problems while ensuring that the funds are used solely to enrich the life of the disabled person. 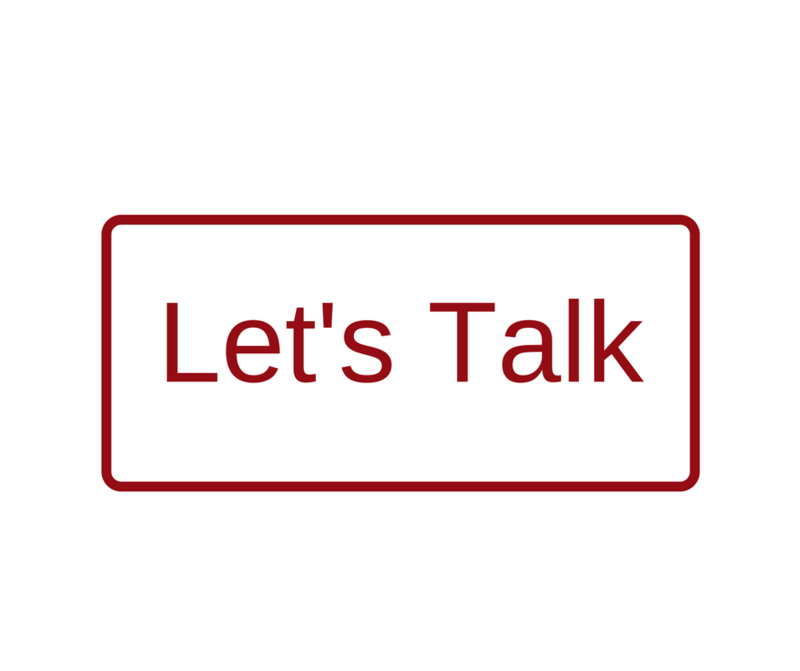 If you’d like to learn more or set up a Special Needs Trust as part of your estate plan, let’s talk. We can meet at my office, located in Elm Grove, Wisconsin, or I am happy to make a house visit. You can reach me by clicking below.